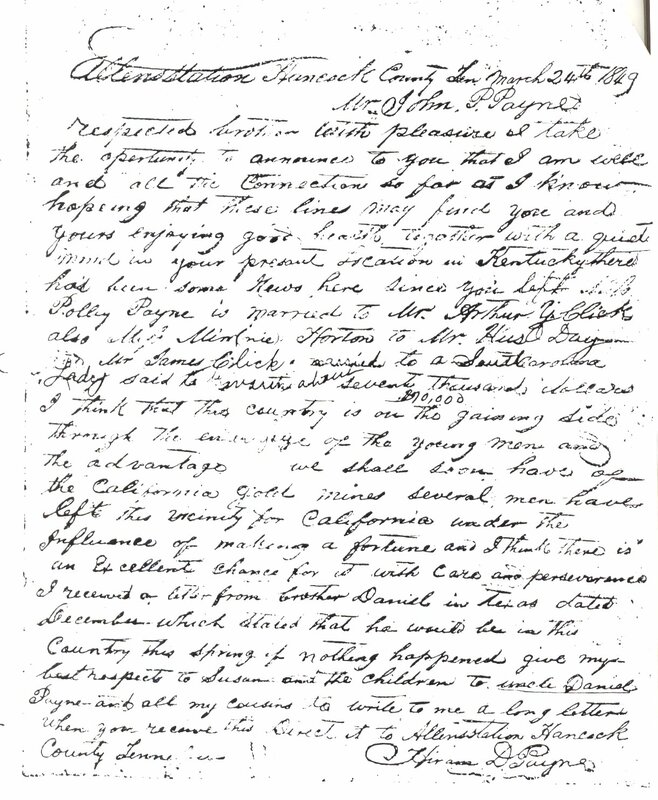 This letter is from Hiram D. Payne in Allen's Station, Hancock County, Tennessee and was written to his brother John Parker Payne b. 1809, in Barron County, Kentucky, near present day Thompkinsville, Monroe County. It is dated March 24, 1849. Hiram D. Payne was listed as postmaster of Allen's Station which is very near Horton's Ford near the Scott County, Va line. His mention of men leaving for the gold mines in California during the actual rush in 1849.